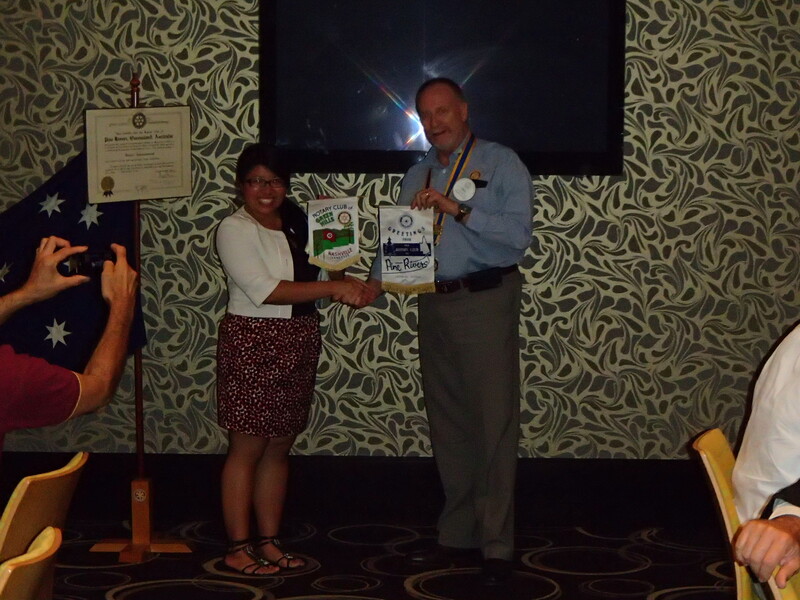 Tonight was my first Rotary Club presentation in Australia!!! 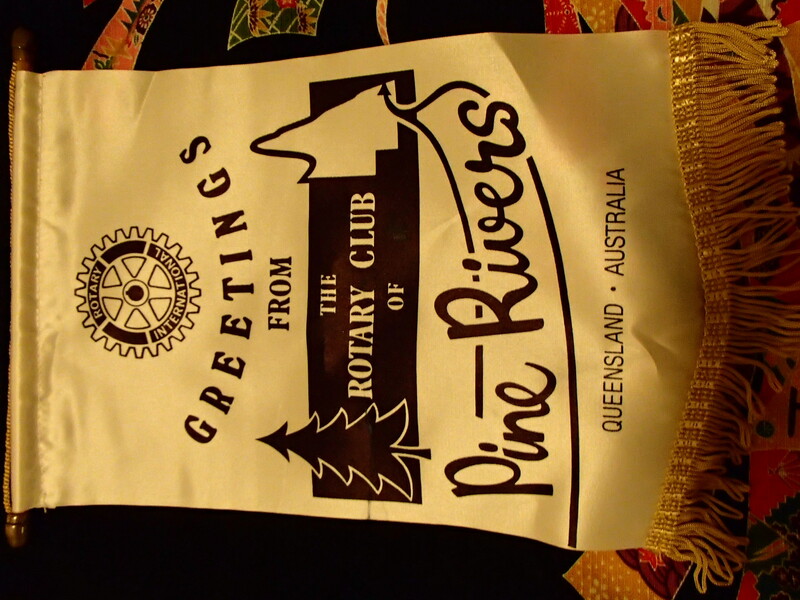 I spoke at the Rotary Club of Pine Rivers where Alan, my host counselor, is a member and also serves as Assistant District Governor. As soon as Alan came home from work, he changed into his nice denim button up shirt that had Rotary Club embroidered on it. When we showed up at the tavern, many other members were wearing the same button-up or another Rotary shirt. 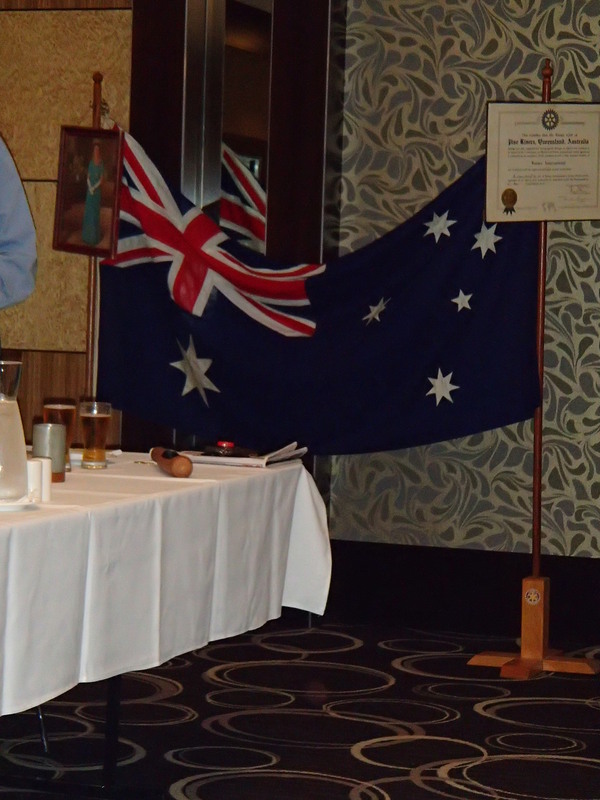 I really liked how proud they were to put on their Rotary garb and the camaraderie that the club bestowed. 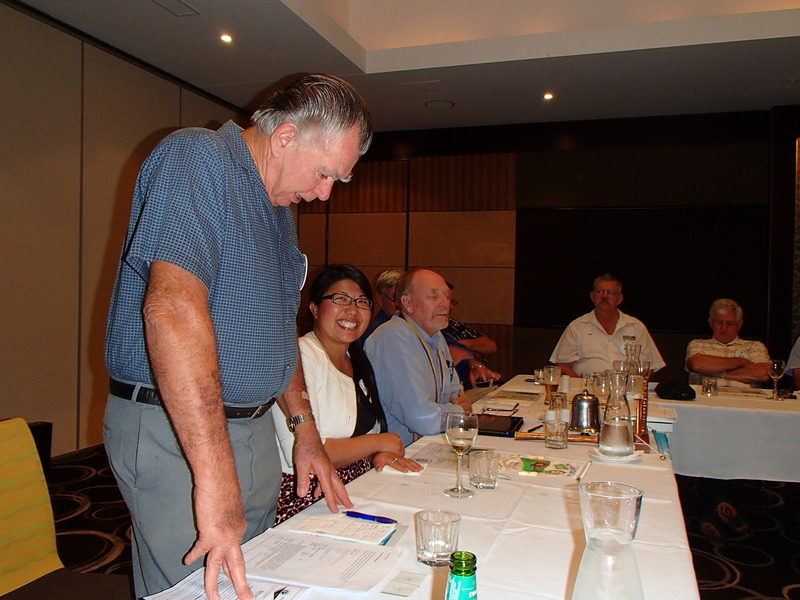 Prior to the start of the meeting, everyone has a glass of beer or wine in my case and chatted casually. Alan introduced me to the other members already there named Curly and Two Scoops. Many of the men have nicknames in the group and they are just hilarious. So in an earlier post, I told you all about how Australians like to play the opposite game. Curly is actually bald. Then, Two Scoops got his nickname because he believes that he is God’s gift to women. He’s a big sweet talker and so when dessert comes around, he gets two scoops of ice cream instead of one! I love how jovial they are with one another. Then, the meeting started when President Paul chimed the bell. They greeted all the guests, paid respects to the Queen, and took a sip of their preferred beverage. There is a photo of her in the front of the room. This was definitely different from the Green Hills club meeting I attended. A prayer was also said to bless the food we were to be served. We steak, chips (french fries), salad, roll, and carrot cake with ice cream. It was quite tasty! They pay respects to the Queen! Before I spoke, Brian served as a chairman to introduce me. His daughter Melissa was actually Australian born but then moved to the US to study at George Washington. She was very interested in politics/political campaigning and landed herself a job. As an Australian, her security clearance could only go so far so she became an American citizen and is happily living in the States now! She can’t tell him what she does though. They just wanted me to speak briefly about myself and tell them why I am here. They were so attentive and kind! I told them how I was representing the Rotary Club of Green Hills and shared how my connection to Rotary stems back to high school. They really liked when I told them that I will be learning how to become a politician the Australian way. 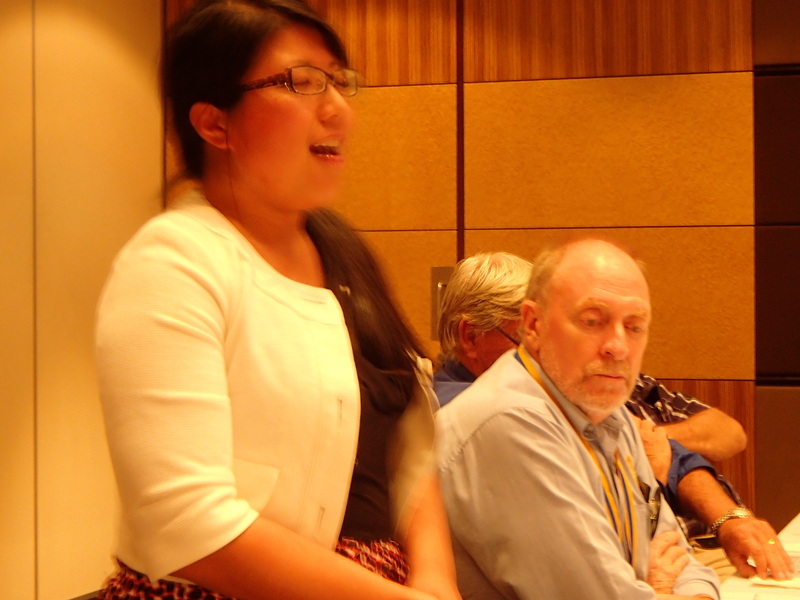 My first presentation as a Rotary Ambassadorial Scholar! It is customary to switch flags between clubs. President Paul is very nice and kindly told me what I needed to do to make the photo shoot go smoothly. We shook hands and held our own flags for a moment. Then, we switched flags and shook hands again. President Paul and I exchanging flags! 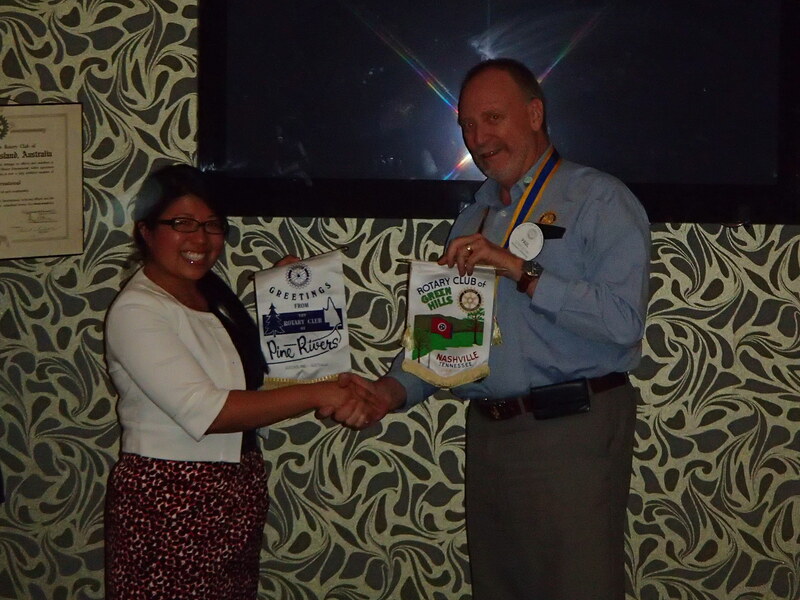 Rotary Club of Green Hills and Rotary Club of Pine Rivers flags have been properly exchanged! 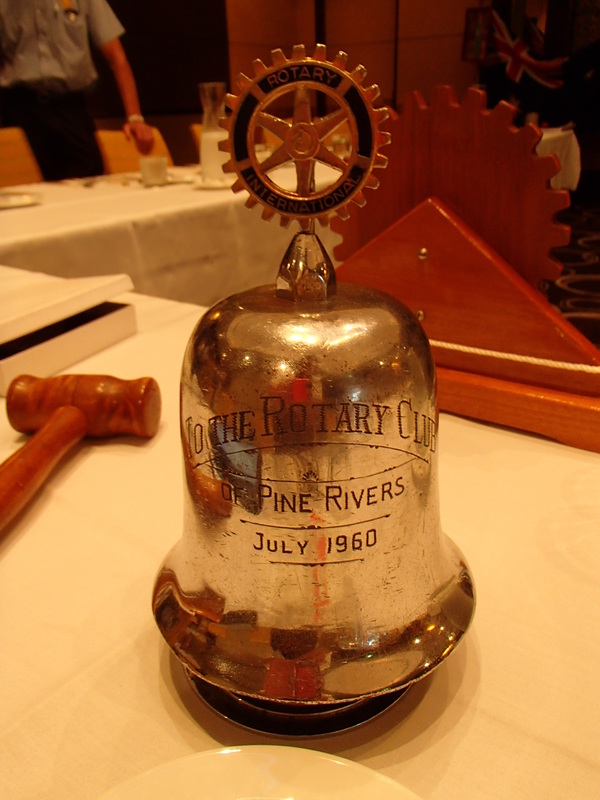 Thank you Alan, Paul, and the Rotary Club of Pine Rivers for having me for the first time and letting me give my first Rotary Ambassadorial presentation! 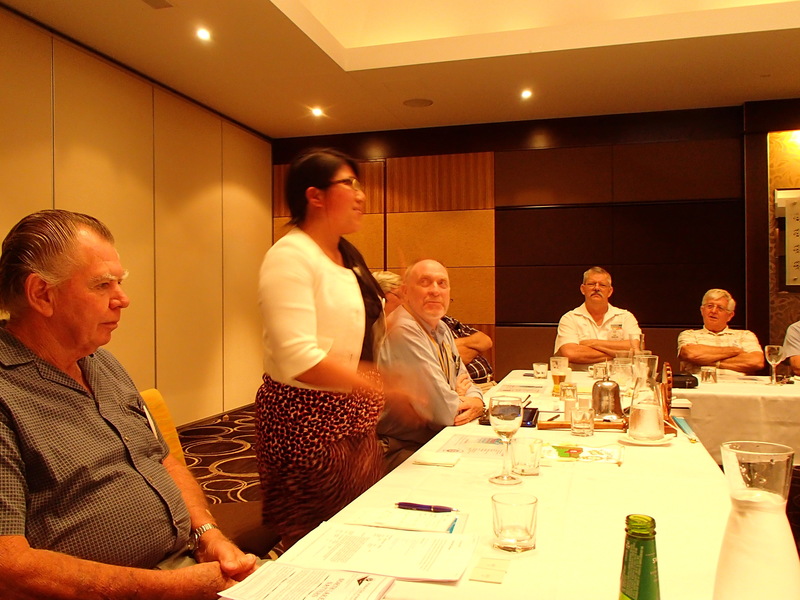 Thank you for having me Rotary Club of Pine Rivers! Awesome 🙂 Keep being the wonderful inspiration that you are, girl!